. Covering North SD, Orange County,and the Temecula Valley. Since 2003 JDB tile & stone has been providing nothing but the best craftsmanship in professional tile and natural stone installation. 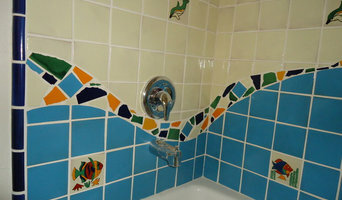 JDB Tile & Stone is Licensed (license # 917776) and fully insured. Justin enjoys his career as a tile contractor and approaches each project as a piece of art. Being very creative and detail oriented allows Justin to complete beautiful custom work that his clients are always satisfied with. Justin has been blessed to make long lasting relationships with all of his clients and always ensures they are pleased with every phase of the project. 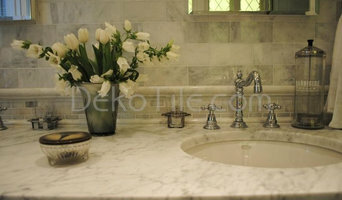 DEKO Tile is a direct importer and seller of high-end flooring and wall covering products. With our vast range of products in stock, we serve the retail market as well as the professionals in the Building industry. 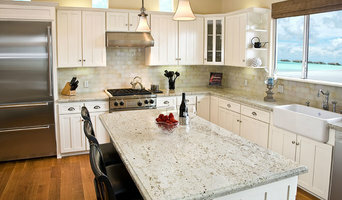 Contractor & Designer - Complete home remodeling - kitchen, bath, flooring, barbeques, exterior kitchens & beautiful hardscapes. Bright design ideas & valuable guidance throughout the remodeling process. We believe our projects should be completed beautifully, with high standards, quality & professionalism, providing a lifetime of enjoyment and durability. Tile & Stone Pro was established in January 2008 with many years of experience in the industry already behind us. We are a Licensed and Insured company, serving residential and commercial Customers. Our goal is to offer reasonably priced, high quality services with minimal turnaround time. Founded in 2002, Marble Expo Inc. is recognized as one of the most diverse natural stone yards and showrooms in the industry. We take pride in supplying the finest natural stones from many regions around the world. Our vast selection combined with our knowledgeable staff creates a truly unique buying experience. Valued clients such as contractors, designers, developers, home owners, fabricators, installers, and property owners prefer us because of our honesty and commitment to excellence. We constantly update our showroom with new products according to the industry trends. Offering exclusive materials in slabs and tiles, our staff is ready to assist our customers and provide them with working knowledge of the characteristics of each stone. Marble Expo S.A., our parent company was established in Greece more than thirty years ago. Today, it is a leader in the industry, producing from its own quarries some of the finest marbles worldwide. Much of our products are imported directly from Marble Expo S.A.; however, we also work closely with many other factories across the world to provide our clients with a huge selection of the highest quality natural stones. So what you waiting for, come visit our showroom and wharehouse and let’s talk ideas for your upcoming project. Stop by our shop or call us for a free estimate. We been serving Southern California Since 2002. Sons of the Bourget Brothers, Dave and Dan have worked hand in hand with homeowners, architects, designers and builders for over 20 years. We pride ourselves in holding integrity, professionalism and a strong desire to help others as our pledge to those who choose to work with us. Felix Schmeing is one of the original students of the Malibu Brothers(" owners of Malibu Potteries, a short-lived yet still influential tile company "). He has owned Ceramic Concepts since it's inception in the late 80's. Ceramic Concepts is run as a small studio pottery where Felix Schmeing does most of the work himself employing his remarkable understand of glaze formulations to get that perfect glaze. With sincerity and integrity Ceramic Concepts has grown due to word of mouth and has served many celebrity and other notables around the world. Ceramic Concepts is the place to come to if you want professional yet personal service for your custom made tiles. 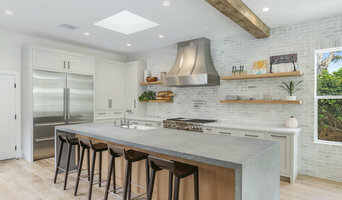 North County Tile and Stone serving greater San Diego is your premier stone, tile, and wood design center Our Core Values: 1) Large Selection with Premium Products With over 50 different manufacturers represented, there is no need to drive all around town looking for your project materials. Our showroom is a one-stop shopping experience for homeowners, contractors, and designers. We are open to the public and offer design consultation services for those who aren't already working with a pro. 2) Competitive Pricing All The While Staying A Family-Owned Business We believe small businesses truly are the heartbeat of America. At the same time, we know it’s important for you to get a great deal on your purchase. More often than not, our pricing is significantly better than what you would find if you bought direct from a tile, stone, or wood manufacturer. 3) Excellent Customer Service Your project is our priority! We are here to serve you by being friendly, attentive, and helpful every step of the way. Check out our Facebook and see our wonderful clients reviews and project photos for yourself. No project is too big or too small.